CV/0 deleted Higher degree in economics (1970). Doctorate in economics (1976). CV/1 deleted Researcher, Netherlands Economic Institute (1969-1976). Lecturer, Erasmus University (1971- 1988). Head of the planning department, National Land Use Planning Agency (1976-1980). Head of the research department, Central Statistical Office (1980-1982). Member of the Advisory Committee on Foreigners, Ministry of Justice (1987-2000). CV/2 deleted Vice-Chairman of the GPV local party (1973-1974). 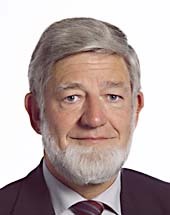 Member of the executive, GPV provincial party (1976-1977); provincial chairman, GPV (1977-1981). Member of the GPV administrative committee (1978-1984); Chairman of the GPV (1984-1994). CV/3 deleted Member of the Capelle aan den IJssel Municipal Council (1974-1994); Alderman of Capelle aan den IJssel (1982-1986). CV/4 deleted Member of the South Holland Provincial Council (1982-1995). CV/5 deleted Member of the European Parliament (since 1994); Co-Chairman of the EDN Group (1997-1999); Co-Chairman of the EDD Group (1999-2004); Vice-Chairman and Treasurer of the IND/DEM Group. Higher degree in economics (1970). Doctorate in economics (1976). Researcher, Netherlands Economic Institute (1969-1976). Lecturer, Erasmus University (1971- 1988). Head of the planning department, National Land Use Planning Agency (1976-1980). Head of the research department, Central Statistical Office (1980-1982). Member of the Advisory Committee on Foreigners, Ministry of Justice (1987-2000). Vice-Chairman of the GPV local party (1973-1974). Member of the executive, GPV provincial party (1976-1977); provincial chairman, GPV (1977-1981). Member of the GPV administrative committee (1978-1984); Chairman of the GPV (1984-1994). Member of the Capelle aan den IJssel Municipal Council (1974-1994); Alderman of Capelle aan den IJssel (1982-1986). Member of the South Holland Provincial Council (1982-1995). Member of the European Parliament (since 1994); Co-Chairman of the EDN Group (1997-1999); Co-Chairman of the EDD Group (1999-2004); Vice-Chairman and Treasurer of the IND/DEM Group.